140 players took part in this year's Spring Meeting. Many members suggesting that it was in the best condition ever. A true tough test, but fair. John Tyrwhitt was the only player to come in under par for the weekend with a fantastic 65 nett to win the Usher Memorial Cup. Congratulations John on a fantastic score. What a day to get a hole-in-one! On a personal note, I would like to say a massive thank you to all the staff involved in making this a truly wonderful event. From the half-way house staff to Peter on the tee, and also for his continued help with personalizing the score cards. To John Dunbar who helped with the smooth running of the pace of play. To David and his team on a superhuman effort. David you should be so proud of yourself and your team. You have worked so hard to give us all a wonderful golf course, don't think for one minute it's not appreciated. To my boys in the shop, Dean Jeeves & Tom Kearns. I am so proud of them both. They continue to work so hard for all of us in a professional and kind way, thank you. To all the members who took part, thank you, we had a lot of fun! Well done to Danny Talbot who won The 36 hole WPGC Challenge Cup with scores of nett 69-69=138. The Coronation Cup winner was Louis Laville with a fine nett 66, made even better because he only receives 3 shots..
Congratulations to Moira Penny on winning the silver division with a wonderful nett 70 and Marion Wilson with a fantastic nett 67 won the Bronze division. Fanny King won the scratch prize with a gross 79 on a very difficult day. 67 ladies took part and from the feedback from our ladies, the golf course was in truly magnificent condition, and the dinner in the evening was remarkable. Some have even gone so far as to say it was the best food ever here at the park, so a great start for Ati, well done. Are you ready for the season ahead? 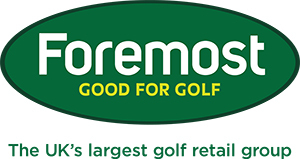 Here in your pro shop, we are committed to helping you with everything golf related. Whether that's through a lesson, fitting or swing tip, or through providing you with the best products available on the market. If you are looking at improving your game with us, why not book in for a lesson or fitting with one of our PGA professionals. Click here to get in touch if you are interested. 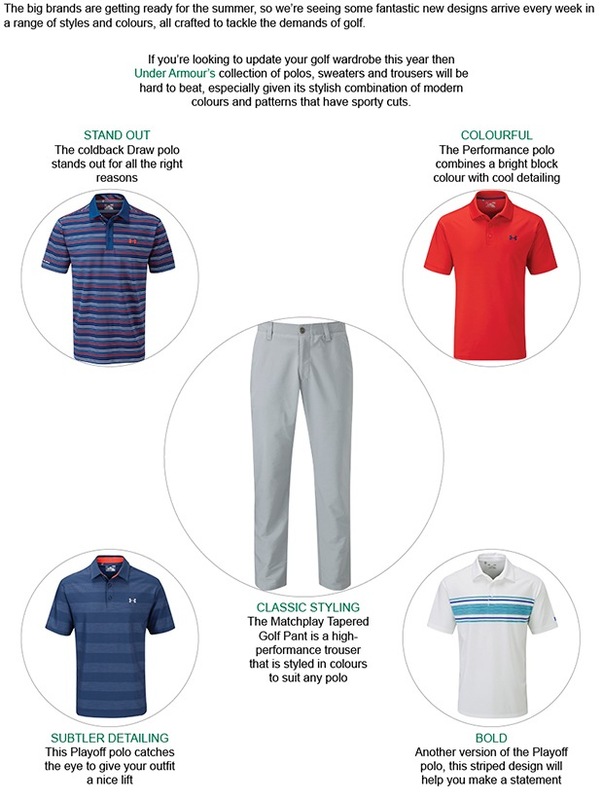 If your needs are more product based, if we don't stock a product that you need here in the pro shop, through our Click & Collect online retail site, we can provide you with access to a vast catalogue of products which can then get delivered to us here in the pro shop FREE of charge. If it's not right for you, we can then send it back with no cost attached whatsoever. Click here to visit our online Click and Collect retail site. We have the tools and the expertise to help you enjoy better golf by custom fitting you for equipment that's right for your own swing - and this doesn't have to come at an extra cost. Our goal is to help you get more enjoyment from the game - which comes in many forms, maybe extra distance, finding more fairways, or just better ball striking consistency. However, custom fitted product doesn't have to be more expensive; we'd rather see our customers happy with their new equipment. Until the end of June, we are offering a FREE fitting and a FREE after sales lesson when you buy hardware from us. Please click here to view a video that will show you more. 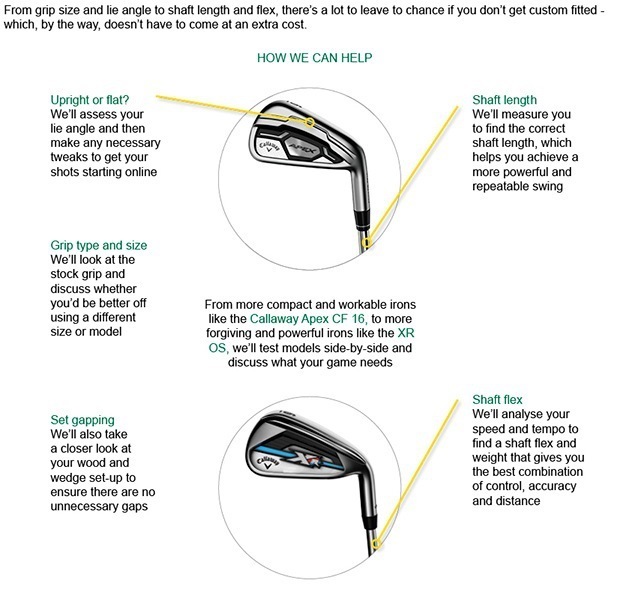 If you have any custom fitting or equipment queries, don't hesitate to come and speak to us or click here to send us an email. Our brand new crested belts are in stock, and look fantastic. We only have a limited level of stock available, so make sure you drop in soon. The price gap between models sold with Lithium and Lead-acid batteries has been reduced with Motocaddy, making its 2016 Lithium range more affordable than ever before. Lithium will save you money in the long run – and there are many more benefits too. Watch Rory McIlroy's superb 5-wood on the final hole at the K Club, a shot that set up a tap-in eagle and saw the Ulsterman record a famous Irish Open win.